Trouble falling asleep? 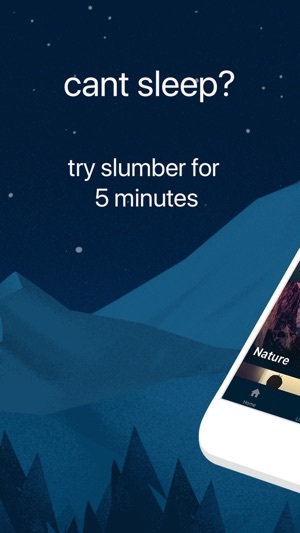 Try Slumber for 5 minutes and you'll be dreaming in no time. 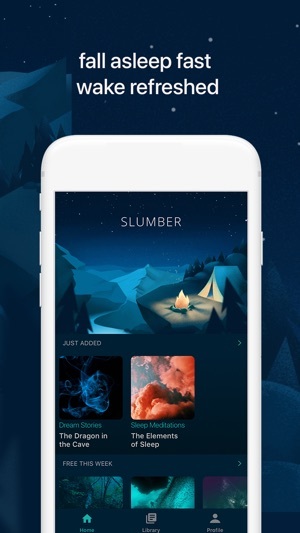 Slumber is a collection of ultra-relaxing sleep inducing stories and meditations designed to beat insomnia and help you fall asleep quickly every single night. 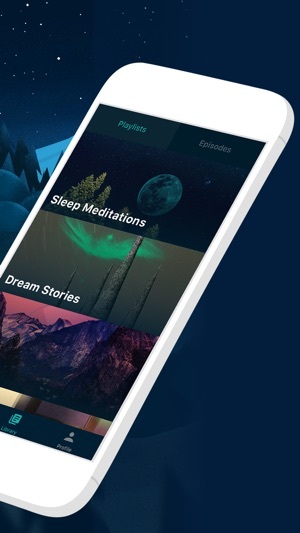 ◆ Choose a relaxing story or meditation to listen to as you fall asleep. 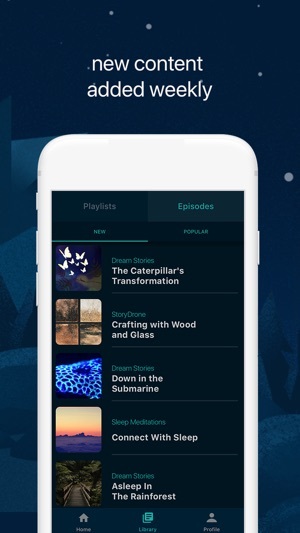 All slumber episodes are designed to put you in a state of deep calm, and help to turn off your mind. 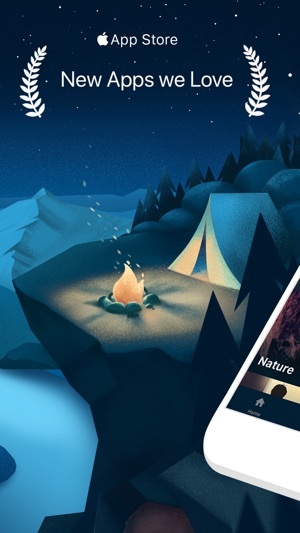 ◆ Then, adjust the nature sounds and background effects to create the perfect ambiance to help you stay asleep all night. ◆ Large library of sleep meditations, sleep inducing stories, bedtime stories for kids, and ASMR Soundscapes. 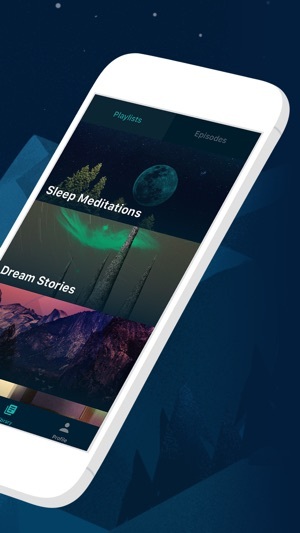 ◆ Meditation guides and storytellers utilize mindfulness, gratitude, and suggestive hypnosis to help you relax and fall asleep. 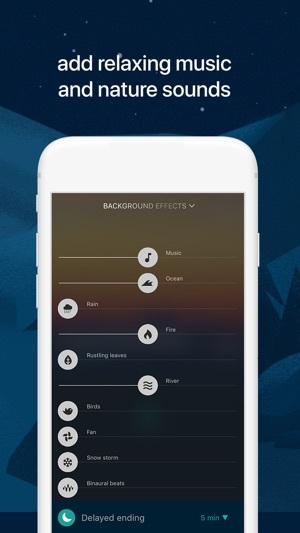 ◆ Customizable nature sounds to help you relax with individual volume control and timer. ◆ Delayed Ending can continue the relaxing background ambiance as long as you’d like. ◆ Tag your favorites for easy offline listening. ◆ Track your usage and sleep quality over time. 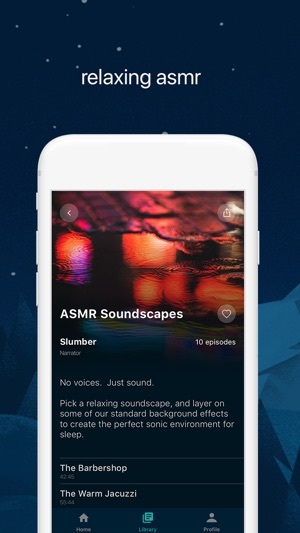 ◆ Get 10 + Slumber episodes for free. Become a premium member for full access to the sleep library. "My only problem with this App, is it always makes me fall asleep before I finish the stories! Which I guess is the point, but I always try to make it through and never succeed!" "I haven't slept all night without a sleep aid in ages. I've only had (slumber) for two nights and I haven't slept like these two nights probably since I was a carefree kid! 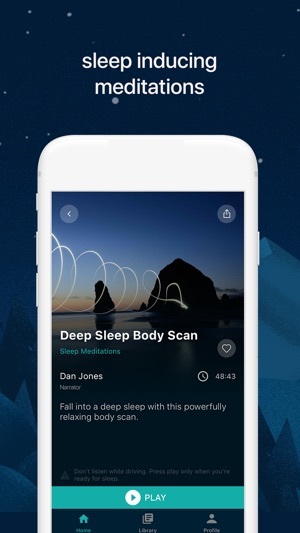 I have the Calm app which also has bedtime stories and that was ok; but still not a full night sleep and not a lot of variety. Definitely not the control of content like this app provides. " Your subscription will automatically renew at the end of each billing term and your credit card will be charged through your iTunes account. You can turn off auto-renew at any time from your iTunes account settings but refunds will not be provided for any unused portion of the term. Slumber also offers a Lifetime subscription which is paid for by a one-off upfront payment of $249.99 with unlimited access to the Slumber forever. Thanks for downloading the most popular sleep app in the app store! 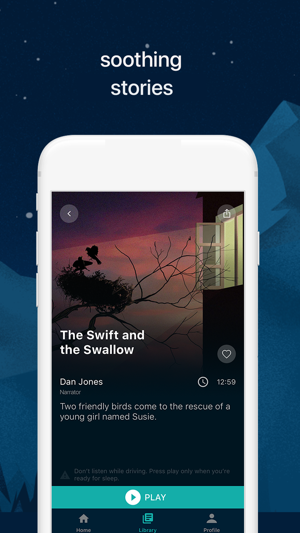 We're adding new sleep inducing stories and meditations to Slumber every week. If you love Slumber, please leave us a review or send us an email. We love hearing from all of our happy users. It warms our hearts and helps us sleep like babies. It is convenience for me to fall asleep quickly. There are many tracks and stories and lead me to a relax station. I love it very much!